No doubt Alf will end up kicking him out of the Diner for acting like a flamin’ mongrel. 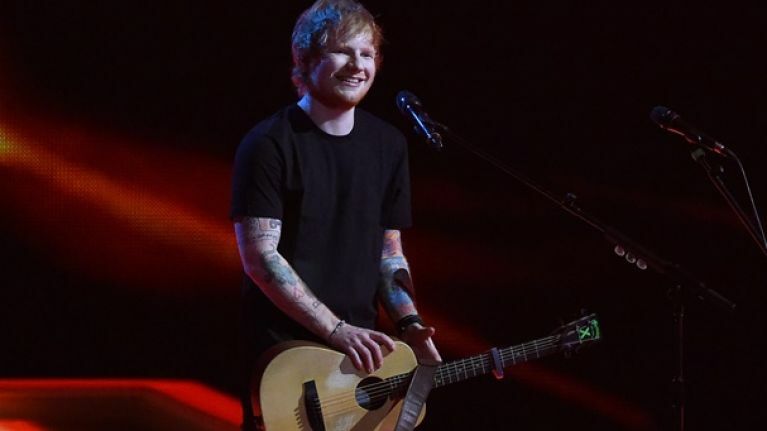 Forget about cracking the USA, selling out huge venues worldwide or getting an album to number one, it’s only now that Ed Sheeran has well and truly made it. As if he hadn’t already cemented legendary status in these parts, his credibility is likely to soar even further with an upcoming appearance on Home and Away, the Australian soap that’s arguably more popular in Ireland than in Australia itself. 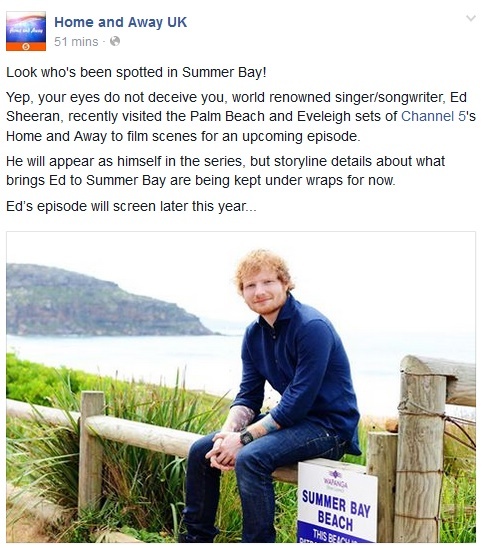 Details about Ed’s role in the show are being kept under wraps for now, but he has been spotted on set at Summer Bay and an episode featuring the singer-songwriter is likely to go out later this year. Post by Home and Away Fans Ireland. While Ed is busy testing out his acting chops Down Under, it’s the perfect time to remind everyone of a Home and Away-themed event of far greater significance that will take place in Cork later this month. We’re talking, of course, about the presence of the one and only Alf Stewart (Ray Meagher) at the Bishopstown Bar in Cork this Saturday, which you can find out more about here. We might be thinking out loud here but we reckon Ed has a way to go yet before he joins Alf on the A-team when it comes to superstar status. With an appearance on a show as big as this, however, let's just say he's getting closer each day.